A study from a couple of NYU Stern professors has found that organic search engine results can play a direct role in whether or not a paid listing is clicked. Basically, if this research is any indication, if your business has both a paid result and an organic result appear at the same time, you have a better chance of your paid result getting clicked than if the organic result had not appeared. Seen better CTRs when paid and organic listings are present? - On average, the impact of organic listings on paid advertising is 3.5 times stronger than vice-versa, possibly because of the tendency of consumers to trust organic listings more than paid ads.- The positive association between paid and organic listings increases advertisers’ profits by at least 6.15% when compared to profits in the absence of either of them. The positive association is strongest when advertiser-specific keywords are used and weakest when brand-specific and generic keywords are used.- Click-through rates, conversion rates and total revenues are higher when both paid and organic listings are present simultaneously than when paid search ads are absent. - The combined click-through rates are 5.1% higher when paid and organic listings are present simultaneously than when only the organic listings are present. - The combined conversion rate increases 11.7% when paid and organic listings are present simultaneously than when organic listings alone are present. 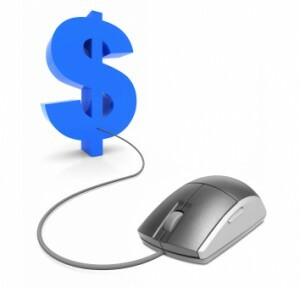 - Paid search advertising drives up to 54% of total revenue growth. The professors used "a unique panel dataset of consumer responses to keyword ads on Google" to conduct their research. The complete findings from the study are evidently available in a paper entitled "Analyzing the Relationship between Organic and Sponsored Search Advertising: Positive, Negative or Zero Interdependence?" It's 52 pages long. "These findings have important implications for the incentives of search engines to strategically modify the rankings of their organic search listings in order to boost their revenues from paid search advertisements," says Professor Ghose.Ghose's point is an interesting one. Nobody's making any accusations here, but would search engines tweak organic results specifically with the goal of increasing the performance of paid results, and bringing in more revenue? The PPC auctioning process has nothing to do with the organic SERPs. Lastly, manipulating the organic SERPs in order to charge more for PPC clicks is cutting your own throat, from an SE perspective. In effect, telling advertisers: "You got a better organic position, therefore you will be charged more for your PPC clicks." Under which business model does this make sense? Exactly none. Even if a search engine did engage in such a practice, it is highly unlikely that anybody would know about it. I think the larger point is still just that it pays to optimize your site for organic listings, even if you are paying for listings. This may seem like common sense, but it is easy to dismiss the time and effort that go into an optimized site if you think you can just buy your way to clicks. This post is like able, and your blog is very interesting.Thanks for making such a cool blog and entertaining all of us. Wow that's really a great post.This post is not helpful for newbies also for experts, because it is true everyone is not aware of everything.Keep it up.Keep blogging. This has given me a new direction to think about as I would not have thought about it myself, although i am not convinced its the best approach …… Keep blogging. Looking forward to reading your next post. Hi,this is one of the best site for the readers and the tips are really very innovative one.Thanks for making such a cool post which is really very good.Keep blogging. This is an eye opener to me.I did not know these tricks before.I would like to thank you for the efforts that you have made in writing this article. Thanks a lot for the nice information sharing with us.Its really helpful for the beginners.I think it's a very likable blog.Thank you so much for sharing.keep blogging.